Words matter. Where they describe economic practices they tend to be heavily laden with moral and political baggage. Who wouldn’t rather be called an ‘investor’ rather than a ‘speculator’, or an ‘entrepreneur’ rather than a ‘capitalist’? For hundreds of years there have been struggles over the use of such terms. Re-labelling a dubious practice like ‘gambling’ ‘risk management’ can work wonders. Or think of the stroke of genius in calling debt ‘credit’: instead of a dreadful burden, we feel blessed: Hey, I’m ‘credit-worthy’ – my bank is confident that I’m a reliable and successful person! What about investment then? It’s surely a good thing. Who could be against investment? ‘Investors’ must surely be good people. 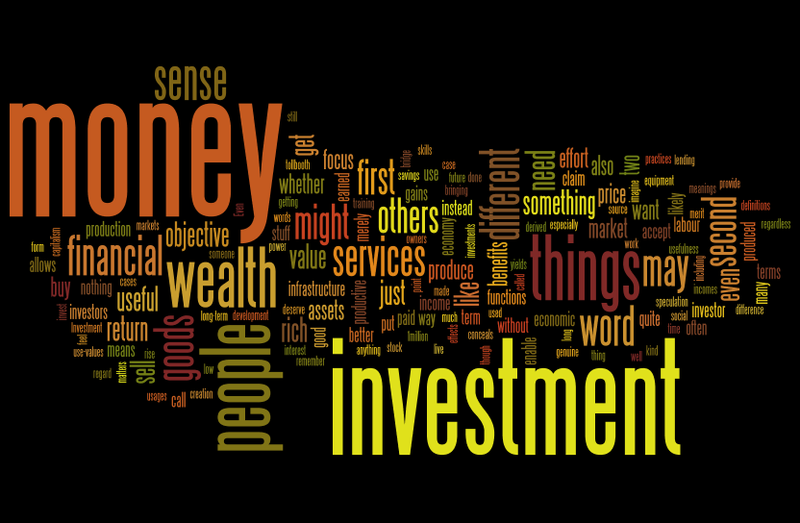 But the term can mean two very different things: 1) a kind of wealth creation, and 2) a means of wealth extraction. Think of investing in equipment, a new firm, a school, a training programme, wind farms. Here the term is used to refer to wealth creation – things which improve the provision of goods and services: better machines, new products, new skills, cleaner energy, and so on. But . . . Think of gains ‘investors’ might get from spending, lending, buying stocks or bonds and other financial assets, buying up existing property and waiting for its value to go up, and speculating. Investments of this second kind – we might call them ‘financial investments’ – need have no connection with investments of the first kind. They need not create anything new. All they are supposed to do is provide a return for the ‘investor’, wealth extraction, regardless. On this definition, gambling is a form of investment. Using the same word for these two radically different things is a great way of passing off wealth extraction as wealth creation. True, sometimes, the second kind of investment can be connected to the first kind, so the investor or funder gets some of the benefits of the objective investment in new ways of producing goods and services. But with the shift of the financial sector from servant of the economy to master over the last 30 years, the second meaning has become dominant in practice and more disconnected from the first. Most of what it funds is not productive industry but lending against existing assets: in the UK lending by the financial sector to productive businesses declined from 30% to 10% of its lending in the bubble preceding the crash, and has stayed low since, while lending to other financial institutions and the property market grew. But then, to the financial sector £1 million profit from useless speculation is no different from £1 million from any other source. But the difference matters to the economy as a whole and hence to us. When the 1% – or others – talk about ‘investment’ and ‘investor’, watch out for this verbal sleight-of-hand. We should speak truth to power, and challenge it. 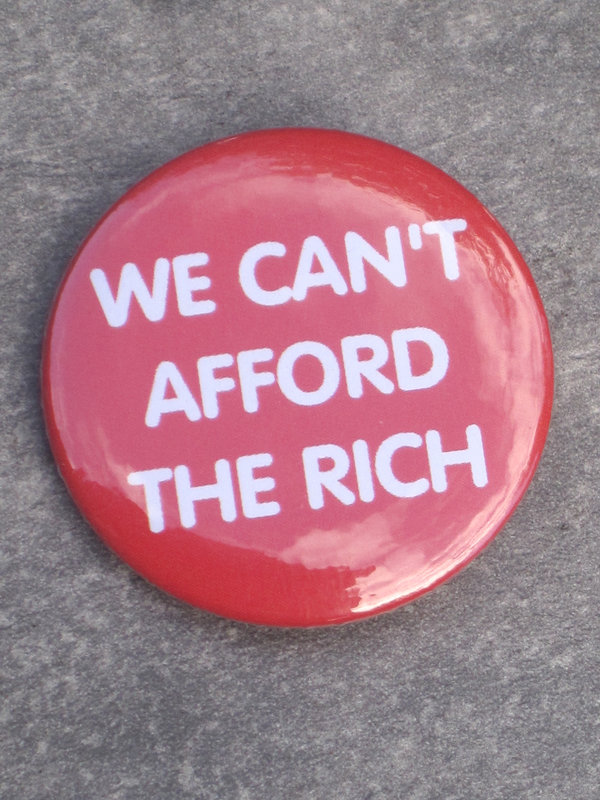 I’ve written more about this in Chapter 2 of Why We Can’t Afford the Rich. John Lanchester has just published a book called How to Speak Money, which has its merits, but revealing the political uses of economic language and the way it cons people is not one of them, in fact in treating the language of money and finance as merely quirky, technical jargon, it depoliticizes it. Marieke de Goede’s 2005 book, Virtue Fortune and Faith has a more academic and penetrating take on the language of finance.